I HAVE BEATEN BORDERLINE PERSONALITY DISORDER!!!!! After the diagnosis some time ago, and after learning a lot about it, I knew I had to get past this hurdle. So I researched and tried many different paths; therapy (still on-going: nice to have someone to talk to), way too many pills, different doctors, cannabis (huge help!!! ), psychiatrists... but it wasn't until I began to use meditation and mindfulness that I really saw a turnaround. Since then, I have begun learning about life, consciousness, ho'oponopono, spirituality in all it's facets, and many other paths. My life has become so much better! I am able to wake up and know that I am in control of my life, and I can choose everything about it! There's still a lot of unknowns out there, and that is a lot of what hindered me in the past. Now, I look at the unknown as a chance to learn something new! With this new approach, my family life has improved, my ability to handle myself in stressful situations has greatly improved ( to the delight of my kid; I no longer yell or get nearly as angry as I had )... It's all amazing!!! as a guide. I had built a makeshift still air box using a cardboard box and plastic wrap. I sprayed a disinfectant in the box and sealed it up, letting it sit undisturbed overnight. The next day, I put on a huge sweater (think it's xxl or something - it's from the 90's, when baggy was cool ) that was freshly washed, and I bunched up the sleeves just before my elbows, so when I put my arms thru the plastic, the sleeves blocked the openings. I used alcohol to wipe everything down before it went in the box, and I also used a lighter on the syringe needle. I know it's not 100% perfect, but it was the best I had at the moment. I still have the other two samples sealed away, so I can work on bigger and better things in the future. With everything I have been learning, it's plain to see that if I give out good, I get back good. Today, as with almost every day now, I have been giving out good vibes and in such a positive state of mind, so the universe has no option but to give me good back, and I know that good and positive feeling influenced everything I did. This has success written all over it!!! Today is grocery day, so I will be picking up some brown rice. With that, I will begin to attempt the "Magic for the Masses" tutorial. And yes, it will be to the letter, with no substitutions. I do not want to squander these samples. Thank you all for reading! I will post more when more happens, and I promise to take pics next time! Woot! Congratulations on the new you!!!! Very positive vibes your way!!! My man!!! Old and miserable has returned to us miserable, old, and grateful for every bit of it!!! I happy for you hombre!! Glad to see you back, O&M, and very glad to hear things are improving! I showed up on the forum about when you left, and you might be surprised to know how often a stranger in a far-off corner of the internet thought about you and your situation. I'm sure you'll have good results with your grow, now that you're following a tried-and-true process! I am still smiling!!! Thanks for the warm welcome back!!! I missed you all!!! Yes, I know I said I wouldn't make substitutions, and I am not planning to, but if I can avoid spending more money, especially this time of year, that would be nice. Can the whole rice be used in place of the flour? I've read posts in many places about the use of whole rice, some using verm and some using just rice itself, with many degrees of success. Edited by OldAndMiserable, 15 December 2018 - 10:31 AM. Youd definitely have to soak the rice or add extra water to the recipie. Convince the wife to let you spend 12 bucks on a coffee grinder, it will save you a bunch of trial and error. Coarsely ground is good, too. It doesn't need to be all powder. I'm not sure where you are geographically, but all the places I've ever lived have second-hand thrift stores that usually have several blenders for a few dollars a piece. and on that note.....most blenders bottoms will fit right on to a regular mouth mason jar. The positivity from this thread feels like it's physically pushing me to get this done!!! KEEP IT UP, Y'ALL!!! I've got 1/4 cup of rice soaking in 1/4 cup of distilled water in a jar for about an hour now. Tons of water, I know, but I'm just trying things out. Some places say to cook the rice low and slow (30-45 mins) with 25% less water than normal, whereas others say no cooking is needed and to soak it instead. I will only use the spores on my rice experiments AFTER the Masses method is inoculated, to be sure I don't use them up. Edit: wifey just texted me from work, and I can get a grinder!!! WOOO!!! .... geez, I sound like I'm 10! GO POSITIVITY!!!!!!!! Yo Old&Miserable. Nice to have people like you! Keep your head up. Good luck with your new project. Sure you could stretch that dark syringe for miles. Keep us posted wana see reaults from your rice tek. Peace and mush love. I entered the mall and made my way through the throngs of people milling about, nearly tripping over a small boy who dashed by in front of me to a nearby window to see the displays behind it. Chuckling at the wonder and amazement in that kid's eyes, I proceeded to the store of choice, nodded a greeting and flashed a smile to the designated customer greeter, and waded into the crowds. I had one item on my mind; something that would render unto me the fine, powdered dust I needed to feed and nurture my (soon-to-be) most intense, eye-opening experience of a lifetime. I had been planning for this event for over a year, reading and researching every bit of information I could get hold of, to know all the ins and outs of it all. My learning opened many different paths of knowledge, from scientific breakthroughs to spiritual awakenings, from others' personal trips of enlightenment to horrific tales of "bad trips". I wanted it all: I had to know all I could before I could even begin to attempt the trip ahead of me. As I learned, it became apparent that I may never know enough about all aspects of it to satiate my want to know, so I decided to take the leap and 'learn from experience'. My heart soared! It was the best priced on the shelf; others were easily twice as much, it offered a cup capacity well within the desired range I needed, and with such ease of use as one-button press, I knew I was meant to find this. Greedily, I scooped it up and made my way to the checkout. I passed the location of the grinders and brewers of the most treasured beverage, Coffee, some time before, but could not find a single grinder available, save for a couple of opened box devices; I decided to err on the side of caution with those. I added a portion of the Brown Rice to the processor, a silent word of thanks passing through my mind to the spirits above as I evoked their help and blessing. I then began the rendering of the grain to a powder, but after 3-5 minutes, it was clear it was going to take a long time to produce the necessary powder. I was reminded of a comment that had said coarsely ground would work, and so I made the decision to use what was created as it was, and to forgo the continued noisy processing. When measured into an appropriate cup, It was then I realized I had under-prepared; I was short a fifth of a cup! I swiftly added a portion of unprocessed Brown Rice to the measuring cup, filling it to the brim; my conclusion for this was that the unprocessed grain would contain more of the whole starches this magnificent material would have possibly lost during the grinding process. With the Golden Ratio of 2:1:1, I carefully measured out the required amounts of refreshing, clean water of the Distilled variety, known for it's pure qualities, the mysterious Vermiculite, it's water magics still unknown to me, and added these to the honorific Great Grain. Slowly, with care, I mixed the ingredients, reading from the holy text as I did, reciting the words aloud, their power flowing into the bowl. Once it was all well-mixed, I gave a small handful of the combined materials a squeeze and found a rather heavy flow of water. I attributed that to the coarse grind and the whole grain, so I chose to leave it to sit and allow the mix to soak up some of the excess water before I contained the magical concoction in the ceremonial jars I had prepared earlier. Good call with not fussing over it being finely ground, and even some whole rice. Because you have a decent amount of whole rice, I am giving an educated guess when I say some of that excess moisture will end up inside that whole rice during the PC process, which is why the magic ratio seems off right now. I think you're doing great, and if these somehow don't turn out well, it's a lesson learned about hydration. I'm going to search the vaults, too. I am sure there is a PF tek that uses whole rice only, not ground, but the ratios and PC time are different. Also, you can add a layer of verm at the bottom just in case when the sub is overhydrated. Only like an 1/8 of an inch. It helps, and your cake is technically DECed from the get lol. Edited by Deleena24, 16 December 2018 - 04:39 PM. The directions in the holy text say that the use of a magical device referred to as a "Pressure Cooker" would create the ideal conditions necessary for the growth I was wanting, but even without such an item, the results could still be achieved through archaic means. They spoke of a large pot with a small amount of water in the bottom being able to create a steamy environment suitable enough to work, and I prepared my container in a similar method; two layers of jar rings and 2-3 inches of water were covered with a layer of aluminum foil, creating an excellent environment for the jars to be bathed. 30 minutes had passed as I patiently waited for the steam bath to end... from there, the time seemed to slow to a crawl due to my seemingly constant checking it, so I tried to distract myself with some of the comedic stylings of a group of people known as Funhaus. Once the bath time had finally passed, the entire pot was carried down to the altar, the place where my journey began, and so began the time of waiting as the remaining heat continued to coax forth the ideal conditions. Surely, this was a time to further my self-control and not, as I have in the past, throw caution to the wind and begin to experiment on everything that could create the ideal environment. However, I did notice a small amount of the mixture remained in the large mixing bowl. I decided to combine that with the small jar of Rice that had been soaking for roughly 30 hours; I removed the excess water from the soaking jar and mixed the two together in a small container, then portioned the concoction equally into two small jars. This is where the tale ends, for now. The 6 jars (250 ml each) continue to rest and prepare; soon, their journey will progress once they cool to a manageable temperature. The two smaller ones (125 ml) I chose to inoculate with a half ml each of the syringe, and are sitting in a box on a shelf. I know I said I would wait to juice anything, but I am so very close to the magical moment, so it didn't concern me. The smaller ones were not prepared with any sterilization, and so I won't be surprised if these fail. I want to take this time to thank you all for all the encouragement! This site was my first look into this side of mycology, my first step into expanding myself, and I have been so happy here since I made introductions. I look forward to continue this journey with you all!!! Whole rice can be used as spawn, bit you treat as grain spawn, not pf tek, and not without a pressure cooker. Steaming cakes does work, but more like 90 minutes. And it requires brown rice flour. Even coarse ground, but it has to be beyond the "cut" or "chopped" consistency. Maybe save the whole grain for a future project (or food!)? I've seen many sites that talk of using rice as it is, but they, much like people here, also stressed the need of a pressure cooker, so I passed them by. I steamed the jars on the stove for 60 minutes ( give or take a couple ), and left them on the burner afterwards for another 15. They stayed in the pot, undisturbed, from roughly 6:30 pm until now. I feel this was a sufficient amount of time for them. Today, I am going to inoculate. I will continue the tale soon!! Nearest Loblaws is an hour away, and I don't drive. I know whole grains are not used in the PF Tek, and so I (coarsely) ground up the rice I had. I only used a small amount of whole rice to get the required one cup measure. Edited by OldAndMiserable, 17 December 2018 - 08:28 AM. So I am playing around with the idea of an incubation chamber. I've read that anywhere between 80F - 84F is the ideal, but I've also seen that leaving the jars on a shelf somewhere will work as well, and that the temp is more or less something that is important if I want a faster colonization. While I am in no rush with this project, I do want to see results sooner rather than later! I am going to get that fine-tuned before I use it, but is all that necessary? Could I even go with something as simple as to wrap the individual jars with paper towel to block the light, put them in a box and place them near a vent in the house so the warm air blows onto them? Good news: you don't need to block light at all. 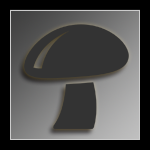 I'm not sure who started the rumour that mycelium needs to grow in the dark, but it isn't so. You don't really need an incubator, either. Your mushrooms will do fine at room temperature, though initial colonization might take a few days longer. Heck, when I first grew P. cubensis, back in the 80s, I was living in a sprawling Montreal flat, heated by one small, centrally-located gas heater. My grow room got downright chilly, in those Quebec winters, but the mushrooms grew and grew. If I were you, I'd focus all my attention on sterile procedure.